On a Monday morning, somewhere between Oklahoma City and Dallas, I decided I needed to stretch my legs, take a little break, do some exploring off the beaten path. 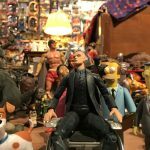 You never know what you’re going to find on any given road trip, and this time I found a museum full of action figures. 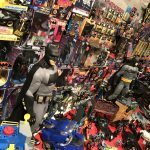 I was particularly amused with the Toy & Action Figure Museum in Pauls Valley, Oklahoma because almost all of the action figures were out of their packages. 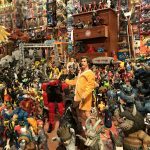 Kevin Stark – artist and action figure collector in Pauls Valley, Oklahoma. 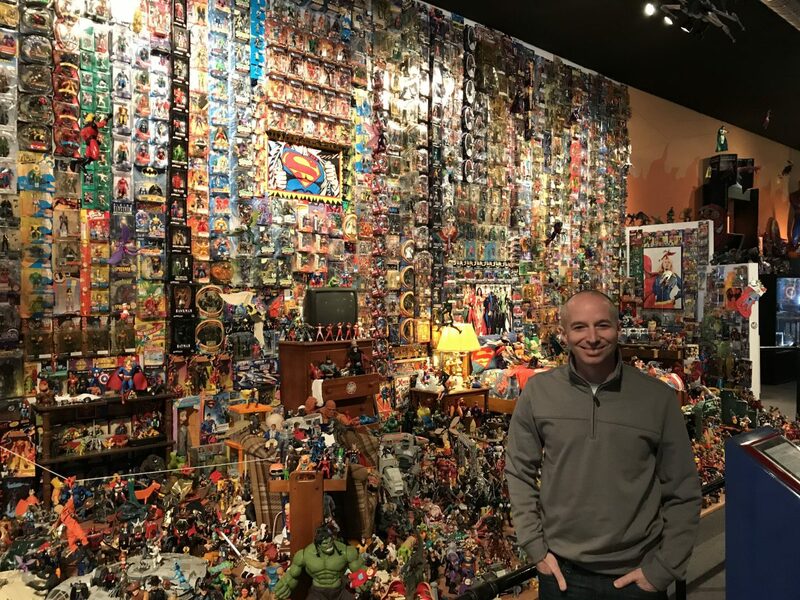 Kevin Stark isn’t just the owner of more than 13,000 action figures. 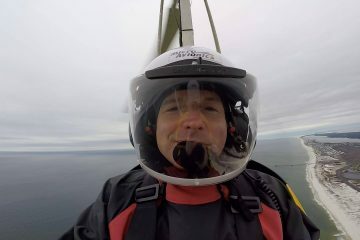 He has worked for major entertainment companies designing toys for television and movie projects. Did your kids ever play with Teenage Mutant Ninja Turtles? Chances are Kevin designed some of them. 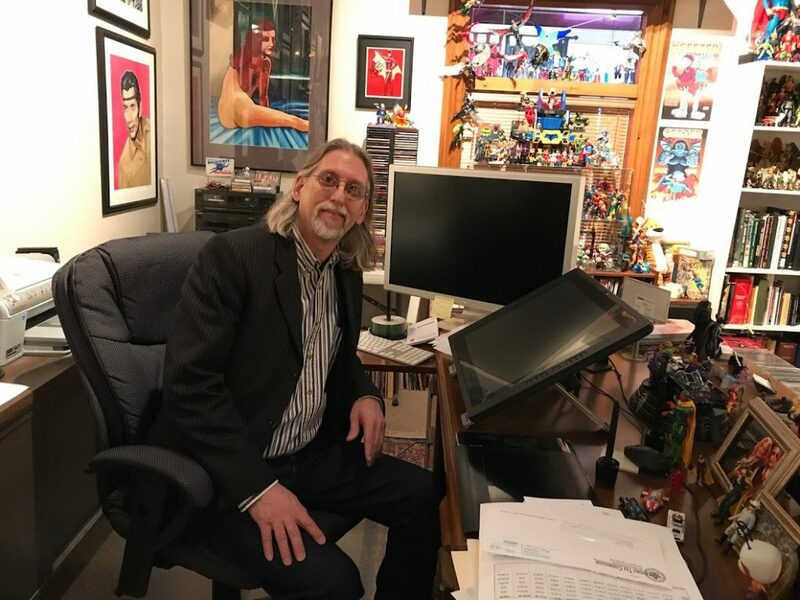 In fact, he has created action figures for many well known projects like The Simpsons and the animated series M.A.S.K. Mr. Stark pretty much fits the mold for someone that would collect action figures. 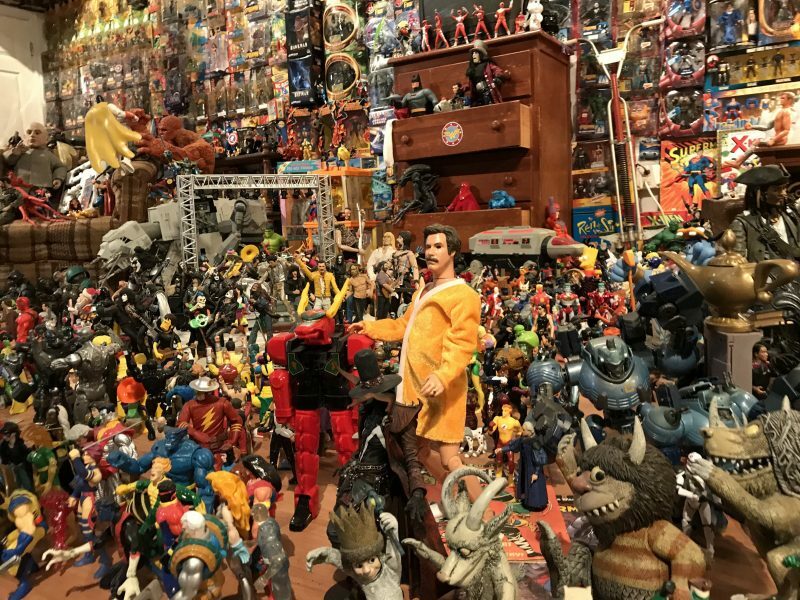 Although, he’d be quick to point out he collects a lot of things. He also creates a lot of things. 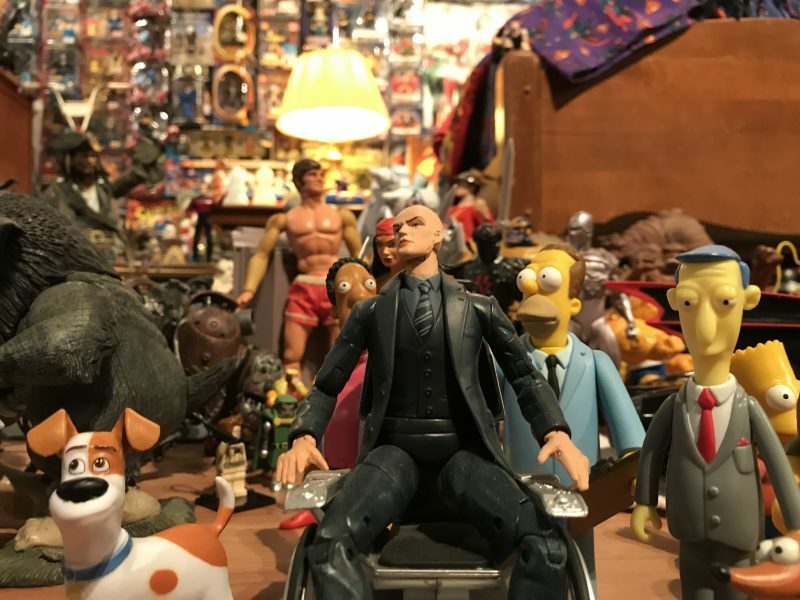 (His toy museum is down the street from his art gallery which has some really incredible paintings and photographs.) He also plays music and performs shows for standing room only crowds in his own theater, which is tucked away in the back. His enthusiasm for toys and genuine zest for life made for an enlightening conversation. 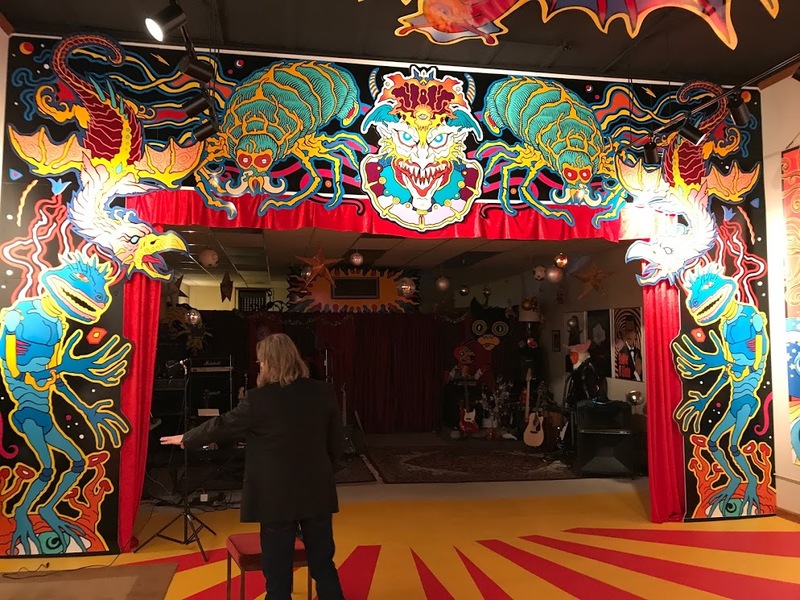 A stage/theater where Kevin Stark plays music for local audiences in the back of his art gallery located down the street from the toy museum. 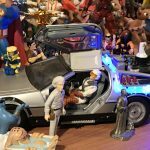 The story is the same at any museum where toys are involved – most visitors can’t help but comment on things they had as a kid. Even more make comments about things they wish they had as kids. 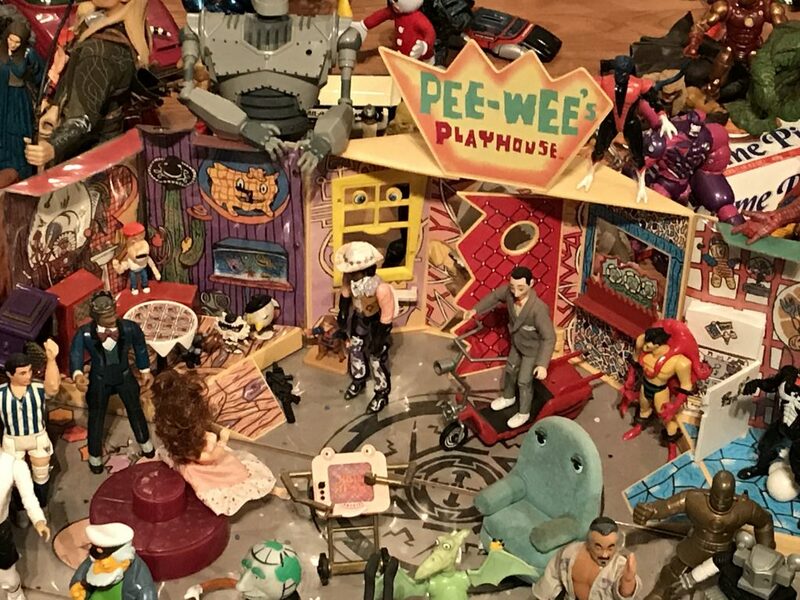 I spotted a Pee Wee’s Playhouse set with all of the figures inside. I had that. The green van that the Teenage Mutant Ninja Turtles rode around in. I had that. 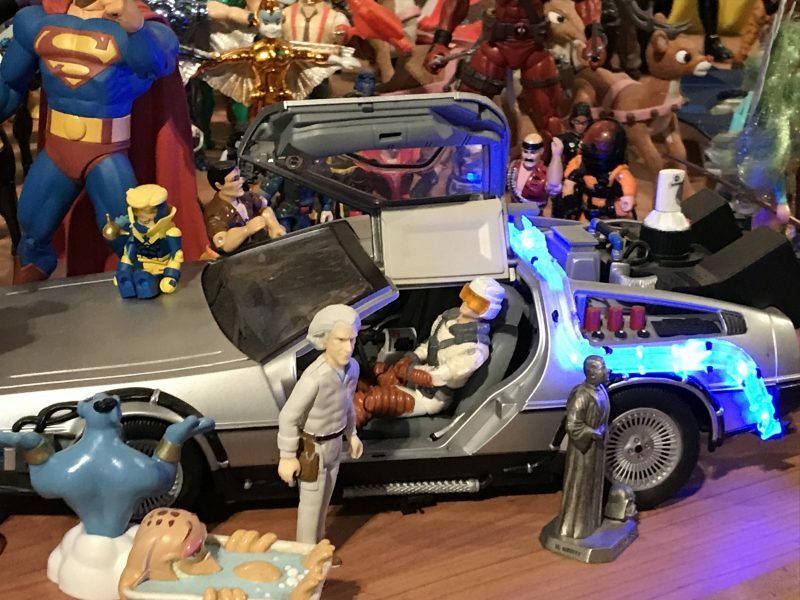 A Back To The Future set with Doc and Marty, and of course, the time machine. Didn’t have it. 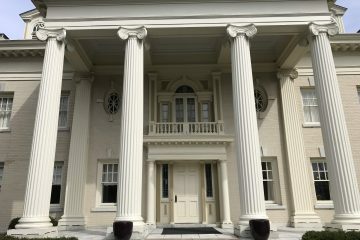 Didn’t even know it existed until my visit. There’s even a section of the museum where guests can dress up in costumes and create action scenes of their own with a handful of props. There are comic books scattered about as well as collectible cereal boxes. “Well it’s obvious you’re single” I joked with Mr. Scott. 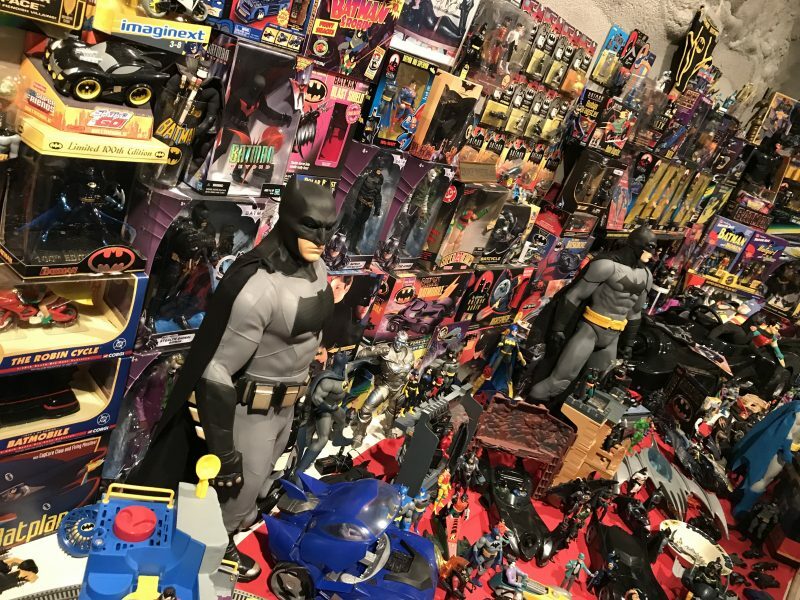 The Toy & Action Figure Museum is located at 111 South Chickasaw Street, in Pauls Valley Oklahoma. It’s easy to find, take exit 72 east off of highway 35. Next ArticleIs San Antonio The Best City In Texas?